Univision, the biggest Spanish-language broadcaster in the United States, is going public. On Thursday, the company's owners filed a registration statement with the Securities and Exchange Commission -- the first step toward an initial public offering of stock later this year. The IPO is a landmark moment for Univision, calling attention to its unique grip on the Hispanic media marketplace. Its networks are home to America's most popular Spanish-language programming. And its newscasts are perceived to be increasingly influential in political circles. 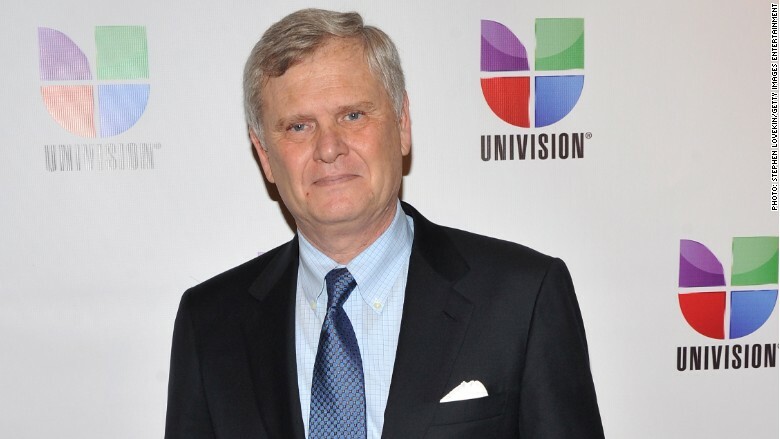 Univision "proudly serves as the voice of Hispanics," CEO Randy Falco recently said. The company pitches itself to advertisers as an essential way to reach the growing base of Hispanic consumers. At the moment, Univision finds itself entangled with Donald Trump, the presidential candidate and real estate mogul who depicted Mexican immigrants as "rapists" and "drug-dealers" in a speech last month. Univision subsequently broke off its business ties to Trump; Falco said "we cannot be associated with insulting and intolerant speech." Earlier this week, Trump announced a $500 million lawsuit against the network. Univision called the suit "legally ridiculous" and said it would fight it; some legal experts also said Trump seemed unlikely to prevail. It's a coincidence that the IPO is being announced at the same time the Trump fight is playing out in public -- but the interest in the IPO does underscore Univision's power. Banks were lined up for a possible IPO earlier this year. But Thursday's filing is the first official statement from the company about its intentions. If all goes well with the SEC, the stock offering will take place in the fourth quarter. Reuters previously reported that the IPO could "raise more than $1 billion" and value Univision at "as much as $20 billion, including debt." Univision has been owned by an assortment of private equity firms for the past eight years. There have been on-again, off-again talks about cashing out, either by selling Univision to another media company (at one point there were talks with Time Warner, the parent company of this web site) or by taking Univision public. The private equity owners include Haim Saban's Saban Capital Group, TPG Capital, Thomas H. Lee Partners, Providence Equity Partners, and Madison Dearborn Partners. Goldman Sachs, Morgan Stanley and Deutsche Bank are jointly running the IPO. "The number of shares to be offered and the price range for the proposed offering have not yet been determined," the company said in a press release. The company simultaneously announced an extension of its most important contractual relationship: the one with Televisa, the Mexican media company that supplies much of Univision's prime time programming. The Televisa licensing agreement will continue through "at least 2030" if the IPO plans are enacted, the partners said in a press release. Televisa also owns part of Univision and will continue to do so.